India’s decades-long pursuit of a permanent seat on the United Nations Security Council has been hit by a setback as three permanent members have come out against proposals by the Indian government. Security Council reform has been the topic of international talks for years, and India is seen as a likely candidate for any new permanent seat on the Council that may result from them. This week however, three main players – China, Russia and the United States all made statements contrary to the Indian position. Russia and China both published letters insisting that there should be no in-depth reform of the Security Council. China, especially, is seen as opposed to the idea of India on the Council – a change that would put the two regional superpowers, and the world’s two most populous states, at the table in New York. The United States, generally a supporter of India’s bid, also came out against the text-based negotiations proposed by India on the topic. This is likely a result of India’s strategy of not specifying potential new permanent members, something that the US insists on. While Security Council reform is generally supported in the UN General Assembly, the issue is more contentious within the Council itself. Additionally, the so-called Coffee Club, a group including Pakistan and several other non-P5 states, are criticizing the proposals of reform advocates. 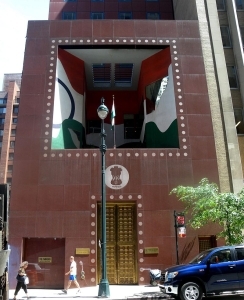 Indian officials have stated that they will continue to push for reforms of the Council.